The Ministry of Environment and Forests (MoEF) came out with new guidelines to create eco-sensitive zones (ESZs) around Protected Areas to prevent ecological damage caused due to developmental activities around National Parks and Wildlife Sanctuaries in 2011. Latest studies revealed that Seagrass can be crucial in the battle against climate change as this humble plant is 35 times more efficient at locking up, or 'sequestering' carbon than rainforests. These unusual marine flowering plants are called seagrasses because in many species the leaves are long and narrow. 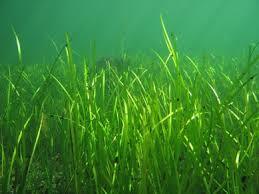 Seagrass often grow in large "meadows" which look like grassland. In other words many of the species of seagrasses superficially resemble terrestrial grasses. Zoological Survey of India has been undertaking studies on the serious threat to coral colonies only of Palk Bay continuously for more than 10 years. Studies confirm that there is reduction in the live coral cover and increase in rubbles, macro-algae and calcareous algae which indicate continuing degradation of these reefs. The Government seeks to protect, sustain and augment mangroves and coral reef in the country by both regulatory and promotional measures. Under the regulatory measures, the Coastal Regulation Zone (CRZ) Notification (2011) and the Island Protection Zone (IPZ) Notification 2011 regulates the development activities along the Sea coast and tidal influenced water bodies. 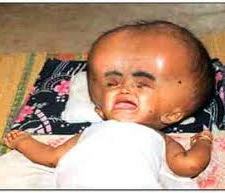 Endosulfan is an insecticide/pesticide that is being phased out globally. It is a highly toxic, ubiquitous environmental pollutant that causes long-term harm to humans and wildlife. It is widely considered to be a Persistent Organic Pollutant (POP) and is readily absorbed by stomach, lungs and through the skin. Endosulfan became a highly controversial agrichemical due to its acute toxicity, potential for bioaccumulation, and role as an endocrine disruptor. Endocrine disruptors are chemicals that interfere with endocrine (or hormone system) in animals, including humans. These disruptions can cause cancerous tumors, birth defects, and other developmental disorders. Because of its threats to human health and the environment, a global ban on the manufacture and use of endosulfan was negotiated under the Stockholm Convention in April 2011. The ban will take effect in mid 2012, with certain uses exempted for 5 additional years. More than 80 countries had already banned it or announced phase outs by the time the Stockholm Convention ban was agreed upon. 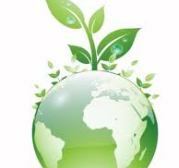 The United Nations Framework Convention on Climate Change (UNFCCC or FCCC) is an international environmental treaty came into effect at the UN Conference on Environment and Development (UNCED). The convention is informally known as the Earth Summit and was held in Rio de Janeiro in 1992. The aim of the treaty is to stabilize greenhouse gas concentrations in the atmosphere at a level that would prevent dangerous anthropogenic interference with the climate system. The treaty itself set no mandatory limits on greenhouse gas emissions for individual countries and contains no enforcement mechanisms. So the treaty is considered as legally non-binding. 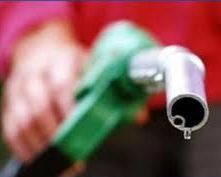 But the treaty provides for updates (called "protocols") that would set mandatory emission limits. 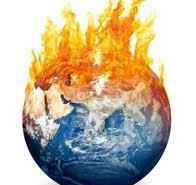 The first and principal update is the Kyoto Protocol. The Protocol was initially adopted in 1997 in Kyoto, Japan, and entered into force in 2005. As of September 2011, 191 states have signed and ratified the protocol. A notable exception is United States, which had signed, but not ready to ratify it. 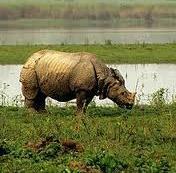 Kaziranga National Park is a national park in the state of Assam, India. A World Heritage Site, the park hosts two-thirds of the world's Great One-horned Rhinoceroses. Kaziranga boasts the highest density of tigers among protected areas in the world and was declared a Tiger Reserve in 2006. The park is home to large breeding populations of elephants, wild water buffalo, and swamp deer. Kaziranga is recognized as an Important Bird Area by Birdlife International for conservation of avifaunal species. Kaziranga is a vast expanse of tall elephant grass, marshland, and dense tropical moist broadleaf forests, crisscrossed by four major rivers, including the Brahmaputra, and the park includes numerous small bodies of water. The park celebrated its centennial in 2005 after its establishment in 1905 as a reserve forest. 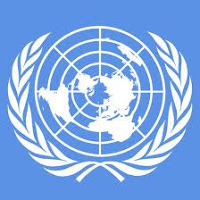 The 1992 United Nations Conference on Environment and Development came to know as Earth Summit due to its worldwide participation. It was a major United Nations conference in the history in UN, held in Rio de Janeiro in June 1992. 172 governments participated, with 108 sending their heads of state or government.Some 2,400 representatives of non-governmental organizations (NGOs) also attended the conference. Green Cross International is an environmental organisation founded by former Soviet leader Mikhail Gorbachev in 1993, building upon the work started by Earth summit of 1992. Earth Summit 2002 "Rio+10" was held in Johannesburg. In 2012, Rio will again host the next summit,Rio+20 as a 20-year follow-up to the historic 1992 United Nations Conference on Environment and Development (UNCED). The Indian Antarctic Program is carried out under the control of the National Centre for Antarctic and Ocean Research.It was initiated in 1981 with the first Indian expedition to Antarctica. The program gained global acceptance with India's signing of the Antarctic Treaty and subsequent construction of the Dakshin Gangotri Antarctic research base in 1983, superseded by the Maitri base from 1990. Currently India is building its third research station in the region named Bharathi. Indian expeditions to the Antarctic also study the fauna and the molecular biodiversity of the region. 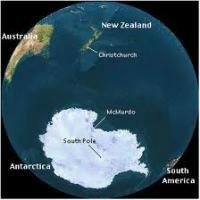 A total of 120 new microbes had been discovered as a result of international scientific effort in the Antarctic by 2005. 20 of these microbes had been discovered by India. India has also published over 300 research publications based on Antarctic studies as of 2007. The National Forest Policy 1988 aims for 33% of the country’s geographical area under the forest cover for ecological and environmental security. While aiming to expand the forest cover in the country, it is equally important to improve the state and quality of existing forests and protect them against various threats and drivers of degradation. The threats to forests include encroachments, forest fires, illicit felling for timber and firewood, grazing, diseases and incursion of weeds and other invasive species, etc. The staffs also face threats of illegal felling of trees from organized forest smugglers / timber mafia and encroachments form land mafia. India has nearly 6.5% of the world's known wildlife species, and is one of the mega diverse countries of the world. 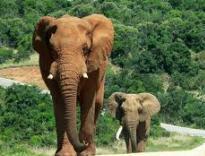 The global demand for wildlife and its products puts at risk the mega diversity of the country. The changing market dynamics and the lifestyles make the existing regulatory regimes inadequate in dealing with the wildlife crimes assuming organized status. It calls for coordinated actions in combating the wildlife related crimes including building capacity for scientific and professional investigation along with other measures.